There seems to be rising momentum to connect the dots between energy efficiency, fuel poverty and the EU’s broader 2030 objectives, writes Sorcha Edwards. Sorcha Edwards is Secretary General of Housing Europe, the European Federation of Public, Cooperative and Social Housing. A new European Commission report estimates current investment in social infrastructure in the EU at approximately €170 billion per annum and identifies a gap of at least €100-150bn. 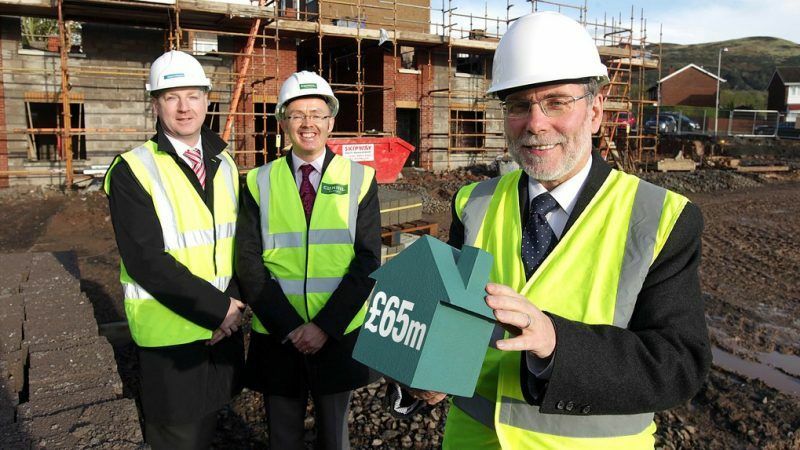 Out of this gap, €57bn is missing investment in affordable housing, including also measures to tackle fuel poverty. Earlier this week, the European Commission acknowledged in the most formal way energy poverty as a major challenge for our continent, launching the European Energy Poverty Observatory. This timely initiative, supported by a diverse consortium of partners including Housing Europe, may finally create the much-needed solid base of evidence that should trigger the development of adequate policy responses in the future. There seems to be rising momentum to connect the dots between energy efficiency, fuel poverty and the EU’s broader 2030 ambitions with the revised Energy Performance of Buildings Directive (EPBD) already in place and the amended Energy Efficiency Directive under way. Both legal frameworks highlight the effect of energy costs on low-income households and will prove to be key tools for public, cooperative and social housing providers across Europe that keep refurbishing more than 300,000 homes annually. Long-term, flexible and efficient investment in education, health and affordable housing is considered essential for the economic growth of the European Union, the well-being of its people and a successful move towards upward convergence in the EU. However, since the global economic and financial crisis, the EU has been suffering as a result of low levels of investment. In Europe, infrastructure investments in 2016 were 20% below the 2007 level. The report highlights that investing in social infrastructure is, by and large, the responsibility of local authorities which are sometimes subject to tight budget constraints. Local governments tend to invest much more than central governments in housing (75% vs 25%). Another recent report by the European Investment Bank (EIB) confirms these findings and highlights how municipalities today report underinvestment in infrastructure, and especially in social housing. “While European social policies and models are the pride of our continent and continue to be warmly embraced by our citizens, the enormous pressure exercised by the recent crisis and the new demands of the 21st century imply that they need to be expanded upon and modernised,” writes former European Commission President, Romano Prodi who chaired the High-Level Taskforce that put together the report, in the prologue. Both local and national authorities seem to be in need of additional financial resources to address this challenge. European Commission Vice-President Katainen highlighted at the report launch event the contribution of EIB and EFSI funding, as well as support from Structural Funds. The public, cooperative and social housing sector has warmly welcomed the European Fund for Strategic Investment (EFSI), submitting a number of projects that are already working on the ground. From 2011 to 2015, EIB social housing finance amounted up to €5bn, while so far, the largest share of the EFSI social infrastructure support has been channelled to our sector. However, much more can be done. However, what we see on the ground is that there are also regulatory barriers jeopardising the potential for investment in the social and affordable housing sector. The deficit rules in the Stability and Growth Pact strongly limit local and national authorities’ room for manoeuvre, while the investment clause to encourage more social investment is not systematically used. The Eurostat classification leads some Member States to choose putting social housing in the perimeter of public administration when calculating the public deficit, impacting on the fiscal space and potentially limiting the ability of housing associations to deliver homes with private borrowing. The application of state aid rules feeds legal uncertainty for local authorities as well as investors, and more clarity and guidance are needed in this area. We used to think of the 2020 and 2030 milestones as long-term goals but they are now just around the corner. The facts put the pressure on policymakers and public, cooperative and social housing providers to step up the pace in which we deliver more quality, affordable homes for all. It’s clear that we have a fight on two fronts – on the one hand combating the alarming phenomenon of energy poverty while on the other hand mobilising investment in social infrastructure.